Posted on 19/01/2014 by U.N.
One of the companies that helped to establish the legendary reputation of Swedish steel was Sandvik Jernwerks in Sandviken. The plant was established in 1862 by the Swedish steel pioneer Göran Fredrik Göransson. It was named Högbo Stal & Jernwerks. Göransson was one of the first to purchase the British Bessemer patent and built a blast furnace and a Bessemer plant in Sandvik in 1863 already. In 1868 the company was renamed and now called Sandvikens Jernwerks AB. Rolling mills and forges were added in the following years. In 1898 an open hearth shop was commissioned. In 1908 four blast furnaces and six open hearth furnaces were in use. Steel for rock drills became a major product. The first electric arc furnace was installed in 1928. The old Bessemer converters were shut down in 1947. 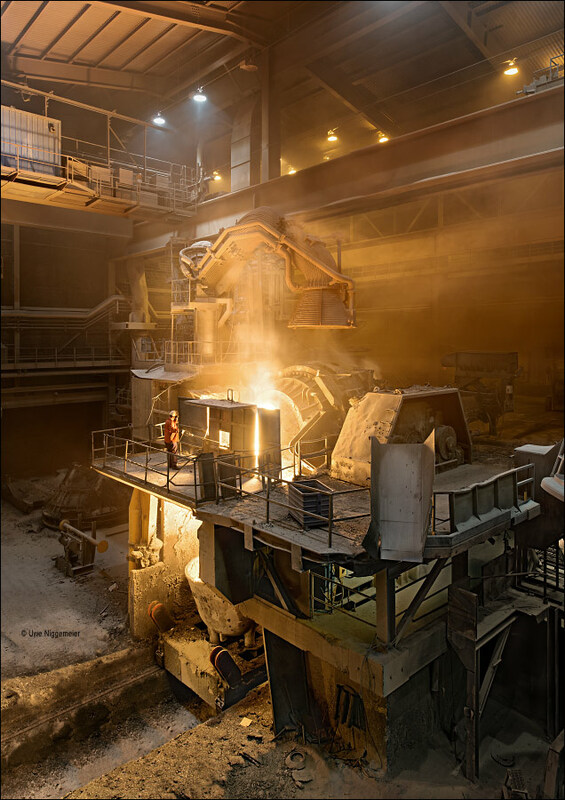 A new blooming mill was built in 1954 and a large electric arc furnace was taken into operation in 1959. The blast furnace department closed in 1960. Today Sandvik Materials Technology is a subsidiary of the Sandvik group and produces high alloyed and stainless steel ingots, bars, strip and tubes.